I was in the grocery store a few days ago, shopping for wasabi, when I saw some pears. Boy, did they look good. They were firm, yet delicate. And, for some reason, they looked like they would be really juicy. I didn’t buy them though. I bet you thought I bought them. No. I did not buy them. They were organic. I bought the one’s right next to them, for half the price and double the size, and then I made this wonderful tart. After I made these raspberry-pistachio tartelettes a few months ago, I really wanted to make another tart. I couldn’t decide what type of tart to make until I saw those pears. After I saw them, I picked up the ones right next to them and went off to plot a recipe. I used the same pâte sucrée recipe as I did before. Last time, the dough rolled out wonderfully. It was very easy to work with. This time it was awful. I couldn’t roll out the dough, so I just had to press chunks of it into the tart pan. I’m not really sure why that happened, but because I chilled the dough completely after putting it in the pan, the tart still came out beautifully. I really enjoyed arranging the pears on top. I chopped up a lot of pears and tried to squish as many as I could into a circle. I started from the outside and worked my way in. Wherever I saw a gap, I pushed in a slice of pear. That almost always caused an adjacent slice to move up, and I in turn would put in another piece of pear. Eventually, I had a gap left and ran out of pears. I had failed. The frangipane layer is magical. Well, not really. It tastes pretty good though. I poured in a little amaretto to complement the almonds in the frangipane and doing so paid off. I also added some amaretto to the pears and to the glaze. Yeah, I added amaretto pretty much everywhere except the crust. I forgot about the crust. After I assembled the tart I left it in the fridge for about fifteen minutes, to ensure that the dough wouldn’t be soft when I put it into the oven. The result was a perfectly crumbly and crisp crust, creamy frangipane, and soft and flavourful pears. I really enjoyed this tart, especially since it came together so quickly. 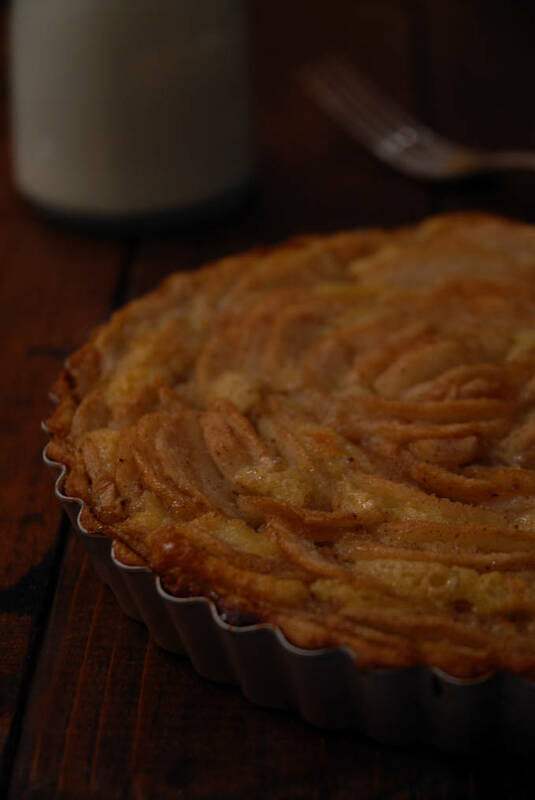 A recipe for a French pear tart with juicy Bosc pears and almond frangipane, spiked with some amaretto. Pâte sucrée recipe adapted from Leite's Culinaria. Cream together the butter, sugar, and salt. You want to beat them together until the mixture is light and fluffy on the lowest speed possible on your hand mixer or stand mixer. You can do this by hand but it's going to take a lot of effort. Scrape the sides of the bowl with a spatula and then dump in the flour. Again, on the lowest speed on your mixer, mix in the flour for about thirty seconds. You should see pea-sized chunks of dough. Then, add in the egg yolk and mix for thirty more seconds. You should get a few pieces of dough from this. Take the pieces, press them together, and wrap in plastic wrap. Place in the fridge for one hour. Once the dough finishes cooling place it on a floured work surface. Sprinkle some more flour on top and then smack the dough with your rolling pin. Roll the dough out, turning it a quarter turn every few rolls, until your dough is about the size of your tart pan. If you don't have a tart pan then you can use a pie pan that you cover with tinfoil so that you can remove the tart later. Press the dough down to the base of the tart pan and then press lightly using the blade of the knife on the edges of the tart pan to scrape away the excess dough. You're not looking to cut it away, but to scrape it away. Move the knife away from the center of the pan over the edge of the pan to do this. If any rips form in the dough just use some of the scraps that you cut off to patch them up. Using a fork, poke holes in the bottom of the dough. Refrigerate the dough for at least thirty minutes while you prepare the frangipane. Process the nuts and flour together in a food processor. Add the other ingredients and process until smooth. Take the dough out of the fridge and spread the frangipane on the bottom. Place the tart back into the fridge while you prepare the pears. 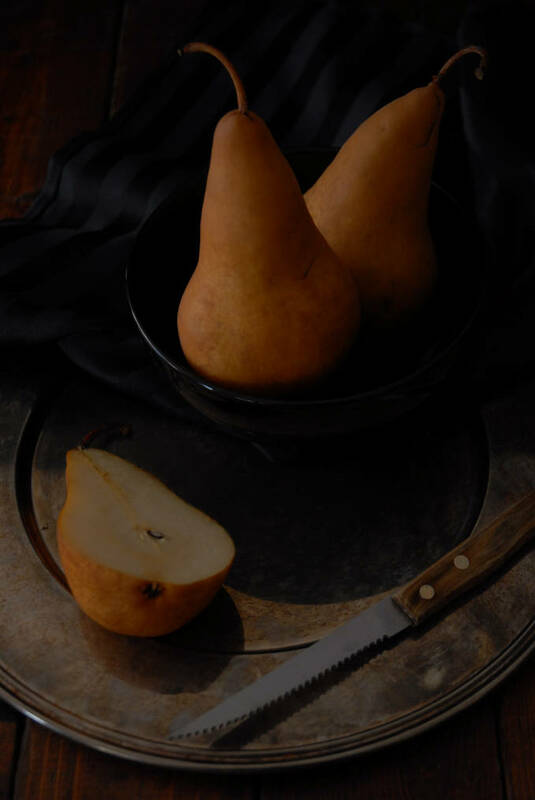 Toss the pears, lemon juice, cinnamon, allspice, nutmeg, and one tablespoon of the amaretto together in a bowl. Remove the tart from the fridge and arrange slices of pears along the circumference of the tart. Work your way in with pear pieces. Once you reach the centre, go back and fill in any gaps with pieces of pear. Try to squish in as many slices as you can. Mix the butter together with other tablespoon of amaretto. Brush over the pears. 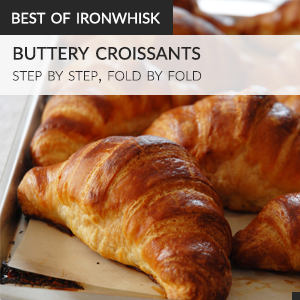 Place back in the fridge to sit for at least fifteen minutes so the pastry will harden. Bake for 50-55 minutes, or until light brown, at 350°F (176°C). Let cool to room temperature and then remove the tart pan's bottom or remove the shell from the pie pan if you used the aluminum foil method. Serve with icing sugar or softly whipped cream. There is not much I love more than a fruit tart. I too sometimes have inconsistency with the ease of rolling out tart dough despite using the same recipe time and again. I’m convinced it’s the weather. In the end though it looks like your tart turned out wonderfully! That is beautiful! I’ve always strayed away from tarts that require laying out the fruit, but how you described it it seems like so much fun! Just gorgeous. 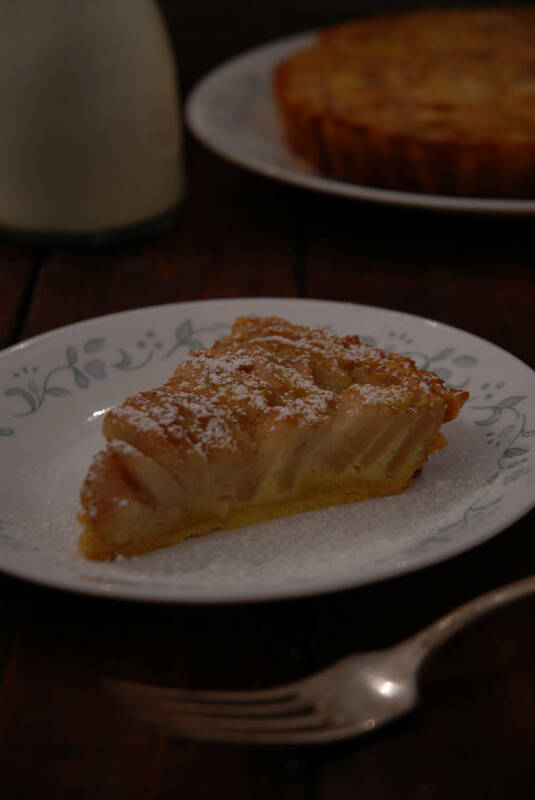 There is nothing like a classic pear tart in my book. Thank you for sharing with me tonight. I just ate a delicious dinner and I’m already hungry again :-) I hope you are having a great start to your week! What a beautiful tart Ilan, pâte sucrée is my favourite pastry to work with. If your issue with it happens again, just put it in the freezer for about 20 minutes, you want it to get very cold, and then grate it with a large cheese grater. It’s much easier to press into the pan and you get a very even crust. If it gets warm from your hand, just pop it back into the freezer (refrigerate the crust already grated). It works like a charm. Your pear tart looks sinfully good. Love it! That pear pic!! WOW. I would have bought the organic pears – that’s just how I roll though. But if I was offered a slice of this tart – I would eat it gladly!! Such a perfect tart! I love baking with pears, such lovely flavor.